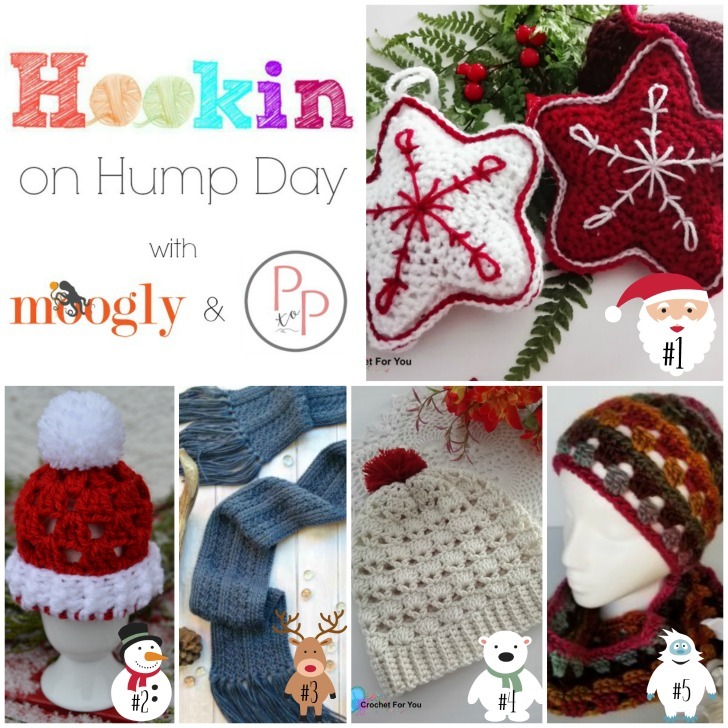 Hookin On Hump Day #157: A Yarny Link Party! It’s the last Hookin On Hump Day for 2017! But don’t fret, Petals to Picots and I will both be back for more HOHD fun in 2018. It’s been an amazing year, and we are so honored that you’ve chosen to celebrate your designs and passion for crochet (and a bit of knitting!) with us. So for the last time this year, we’ve got a gorgeous collection of patterns for you – and as a little holiday gift to all of us, they’re all FREE patterns! Thank you all so much for being part of Hookin On Hump Day! Hookin On Hump Day is hosted here on Moogly and on Petals to Picots! HOHD is a link party where you can submit your blog posts to be featured – and/or see the best new projects available on blogs across the web! We share your most clicked projects twice a month, from the posts you submit. It’s a great way to check out projects from all over the web, and to promote your own! 1. MOST CLICKED LINK: Christmas Crochet Star Free Pattern by Crochet For You – A lovely and quick ornament… and a FREE crochet pattern! 2. Santa Egg Cozy by Atelier Marie-Lucienne – The fastest Santa hat ever – and cute as can be! And a FREE crochet pattern! 3. Peek-A-Boo Scarf by Cute As A Button Crochet – This unisex scarf looks great – and comes with a tutorial for the FREE crochet pattern! 4. 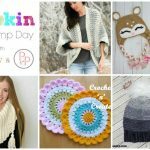 Shell V Shell Crochet Slouch Pattern by Crochet For You – Love the openwork texture and style of this FREE crochet pattern! 5. Connie Cap by Artsy Daisy Crochet – This one skein pattern makes a great last minute gift – and it’s a FREE crochet pattern! 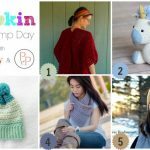 Hookin On Hump Day #154: A Yarny Link Party! 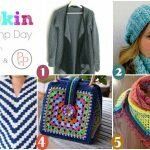 Hookin On Hump Day #160: A Yarny Link Party! 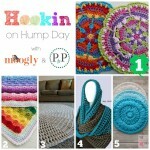 Hookin On Hump Day #138: Link Party for the Yarny Arts! 😀 Thank you so much Raji, I’ll check it out! Thanks so much for hosting this amazing Link Party once again, dear! 😀 Thank you for being part of it! Merry Christmas! Thank you so much for all of the HOHD patterns you’ve posted this year! Looking forward to 2018 and even more inspiration!